This "global warming" thing... what Watt is what? Hurricanes: are they or aren't they? If "global warming" is real, what could be causing it? 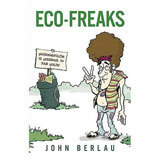 What's your real Carbon Footprint? How 'Hot' Is Planet Earth? The Atmosphere and Enhanced Greenhouse - What's Going On? President Dwight D. Eisenhower famously warned Americans in 1961 against the growing and unwarranted influence on our government of a “military-industrial complex.” The 2007 version of this concern should focus on the looming eco-industrial complex. USCAP members include: Alcoa, BP America , Caterpillar Inc., Duke Energy, DuPont, Environmental Defense, FPL Group, General Electric, Lehman Brothers, Natural Resources Defense Council, Pew Center on Global Climate Change, PG&E Corporation, PNM Resources, World Resources Institute. USCAP is obviously a politically and economically formidable group that plans to press Congress and the Bush administration hard for global warming regulation, including the ever-dubious cap-and-trade of greenhouse gas emissions. At face value, USCAP comes off as a mutually beneficial partnership between big business and environmental groups. If successful, the environmentalists get the economy-controlling global warming regulation they have been working toward since the late-1980s. The companies plan to profit (at least in the short term) from either the cap-and-trade provisions or from selling high-priced, politically-favored (if not mandated) so-called “green” technology to the rest of us -- whether we need it or not and regardless of whether it produces any environmental or societal benefits. These, of course, are reasons enough to be concerned about USCAP -- but the sub-surface view of what USCAP represents is even more ominous. As described in a 2004 book entitled, “Biz-War and the Out-of-Power Elite: The Progressive-Left Attack on the Corporation,” left-leaning environmental groups, labor groups and human rights groups have been quietly working to harness (hijack?) the influence, power and resources of large publicly-owned corporations in order to implement the Left’s social and political agenda. Since the election of Ronald Reagan in 1980, it has been increasingly difficult for the Left to advance its social agenda through the public political process. This has certainly been true with respect to environmental issues, in general, and global warming, in particular. Environmentalists, for example, tried and failed to impose the Kyoto Protocol on the U.S. --despite the active support of the Green-friendly Clinton administration. Other Kyoto-like legislation -- such as the so-called McCain-Lieberman bill – also failed the political test. But just as the political prospects for global warming regulation seemed to be fading, the environmentalists’ long-standing efforts to capture the corporation began to gain traction, thanks to successful pressure campaigns against the CEOs of financial service companies. The Rainforest Action Network’s campaign against Citigroup chairman Sandy Weill resulted in the bank agreeing to give environmentalists a say in the bank lending process. The capitulation of Citigroup, America’s largest bank, was quickly followed by similar surrenders by the next largest U.S. banks, Bank of America and JPMorgan Chase & Co.
At about the same time, the General Electric Company apparently made peace with environmentalists over the company’s long-standing headache involving the clean-up of PCB sediments spilled decades ago in the Hudson River. Coincidentally (or not), at about the same time that GE’s PCB problem went away, the company very publicly teamed up with environmental activists in May 2005 to champion global warming regulation. Through a combination of coaxing and coercion, the Greens have now successfully insinuated themselves into corporate boardrooms to the point where they’ve gained critical mass in the form of USCAP. The significance of the Greens’ capture of big business is readily apparent. 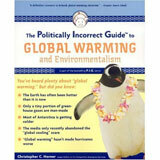 America is on the verge of committing economic and political suicide by enacting global warming regulation. What’s the reason? Al Gore’s hyped movie notwithstanding, there is no new or compelling science to support the notion that humans are harming global climate or that humans can control climate to any discernible extent. What’s changed is the new pressure from big business for global warming regulation. This pressure even forced President Bush to acknowledge, however briefly, the problem of global warming in this week’s State of the Union address. And this pressure is only likely to increase. Perceiving that the global warming regulation train is moving, businesses naturally will seek to craft the process to their advantage. General Motors and Ford, for example, have fought against mandatory global warming regulation in the past. But their businesses are being crushed by retiree health care costs. It’s possible that the companies might support global warming regulation in exchange for some form of legislative relief from their health care burdens. Can both the Greens and business get what they want? Is this a win-win? Are there any losers? It’s possible that businesses may benefit in the short-term. But in the longer-term, only the Greens will win. 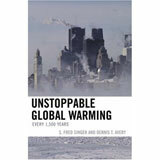 Any global warming regulation implemented today will most likely only become more stringent tomorrow. If big business helps the Greens start the global warming regulation boulder rolling down the hill, it is only a matter of time before it gets out-of-control and turns into a crushing burden. Moreover, remember that the Greens’ goal is to capture the corporation as a means to implement their social agenda, which goes far beyond the distraction of global warming to an unpalatable political vision that most of us would regard as socialistic. In that case, businesses won’t be the only losers.